Here is a Cuenca Real Estate Update IV. 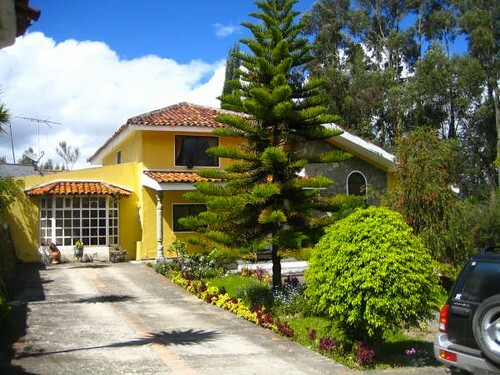 Cuenca real estate offers excellent quality and value for expats visiting Ecuador. Here is a shot of downtown Cuenca. Merri and I have helped over 6,000 people visit Ecuador real estate in the past 15 or so years. We find that three areas… Cuenca, Bahia and Imbabura… are the most popular by far. Jean Marie Butterlin conducts Ecuador real estate tours that focus on these areas. In Cuenca, Stephen Milden, a retired American and his wife, hosts these tours. Here is a Cuenca update from him. 10 minutes from downtown Cuenca is a 4089 square foot home sitting on 1.7 acres. The yard has been beautifully landscaped. This house is loaded with options including, 2 living rooms, 2 dining rooms, 4 baths, 3 walk-in closets, a caretaker’s cottage, outdoor barbeque and picnic area and a greenhouse. The owners are relocating to Quito and are willing to provide some financing. Asking price is $230,000. Ecuador real estate prices are rising, but it is the low cost of living that continues to make Ecuador living so attractive. Here is a review of how Stephen found Cuenca. We began our research for a place to live outside the US in 2006. The process included developing a list of criteria and then casting the net far and wide to see what fit. Without going into the details of where, how and why – we settled on Ecuador and Panama as likely candidates. FYI – the net was cast as far as New Zealand. Next step was to get our feet on the ground and separate the hype from reality so we booked our flights and made exploratory trips to both. As you may know, visiting and living in a place are very different experiences hence the expression, “Nice place but you wouldn’t want to live there”. Recognizing this to be the case we tried to do the kinds of things that one would do as a resident such as going grocery shopping, the post office, etc. We’ve been eating organically for years so finding sources for organic produce was high on the list of criteria and a potential deal breaker if not available. Both Panama and Ecuador offered much of what we wanted foodwise and most of our other criteria. Panama had a slight edge because Panama City is almost first world in terms of the availability of goods and services including a well stocked health food store. Long story short, we packed up the house, our three dogs and two cats and moved to Panama on January 28, 2009. Knowing the move was part of our due diligence versus a cast in concrete decision to live in Panama, we chose to rent (rather than buy) a house in a little mountain town called Sora which is about an hour and 15 minutes outside of Panama City. The location was beautiful. 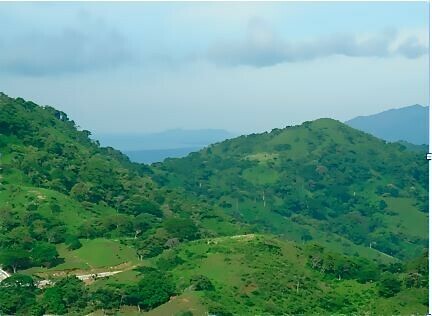 We sat on a ridge overlooking lush green valleys with an expansive view of the Pacific only 6 kms away. Having grown up in the Virgin Islands, being back in a tropical climate was like coming home. What I forgot was that the tropical conditions included not just balmy breezes and warm temperatures. We quickly discovered that we were sharing the house with centipedes, scorpions, bats, spiders, snakes and finally army ants. I say finally because the invasion of the army ants was the final straw. There were lots of other insects that came to visit from time to time, but they didn’t take up residence. Did I mention the 6 foot Boa Constrictor that we came across while walking our dogs in the yard? For these reasons and a few others including a much higher cost of living than expected, we decided that Ecuador deserved another look. 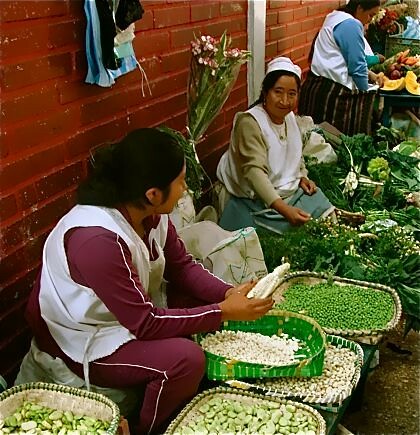 Our initial trip to Ecuador in 2007 included Quito, Guayaquil, the coastal area and Cuenca. We’re not city people so Quito and Guayaquil weren’t even considered as places to live. We just wanted to see what was available knowing that sourcing goods and services would likely involve shopping trips to the city. The coastal area was not a fit largely because I’m a beach snob. If you’ve ever been to the Caribbean you know that the ocean and beaches there are hard to beat. My desire to be close to the ocean was to pursue my love of sailing, surfing and scuba diving which, while possible, weren’t in the same league as what I was accustomed to. So having accepted that to have the kind of experience I wanted on the water was going to require going to the Galapagos, we went in search of what was available inland. We landed in Cuenca and proceeded to the Mansion Alcazar which is a delightful boutique hotel right downtown. 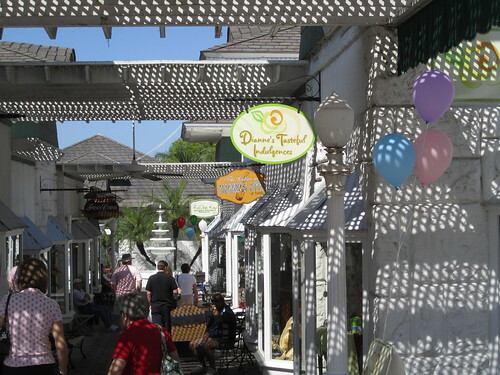 It’s a colonial building that has been lovingly restored and includes a great restaurant. During the following two weeks we explored Cuenca 12-14 hours a day as well as the surrounding area and found it to be much of what we wanted. The culture was rich as was the architecture. Art and music were an integral part of life. The people were very welcoming and patient with our basic Spanish. The cost of living was unbelievably low and real estate quite reasonable. All in all we saw that Cuenca was a place that we could easily call home except that it was a bit cooler than I wanted. So, as I mentioned above, we went to Panama – and you know how that turned out. Therefore a return to Ecuador was planned to take another look. Several trips later including visits to places we’d not looked at before including Otavalo and Cotacachi, Cuenca emerged as our favorite once again. Clearly we are not alone in our appreciation of what Cuenca has to offer. It has received a lot of attention of late and been rated as the best city in the world to retire to. We’ve been in Cuenca since the beginning of November and are in the midst of renovating a house which is about 15 minutes outside the city. 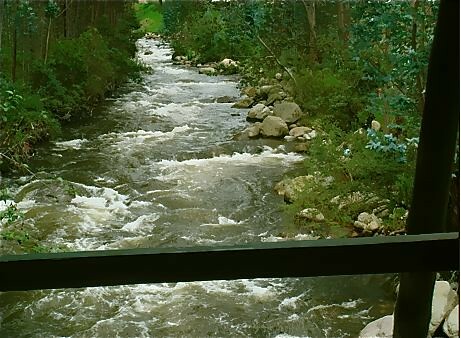 It’s right on the Tomebamba River in a grove of Eucalyptus trees and is both lovely and serene. Yesterday it was 28°C (82°F) degrees which is slightly warmer than customary but not by much. The nights are cool enough that a fire in the fireplace is all that is needed to take the chill off. The fact that we have no ticks or fleas to worry about for our animals and none of the rest of the insect population we left behind in Panama, makes life quite grand. 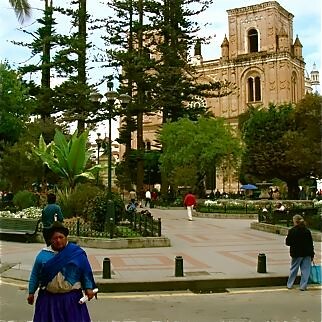 Cuenca, like any Latin American country, has its challenges for those of us coming from a different culture to be sure. If you’re sitting at a traffic light and don’t start moving within 5 nanoseconds from when the light turns green, you’ll discover how horns are used to move things along. I joke that the first lesson taught in the mandatory driving schools is Horn 101.
for an experience more like what you’d expect in the US, there is SuperMaxi which is a stateside quality supermarket. There are articles galore extolling Cuenca so I won’t repeat any of what you can easily find on-line. I think the best way to describe succinctly what it’s like to live here is via a recent exchange with someone near and dear to me. My phone rang the other day and it was my significant other who was walking around town doing some shopping. 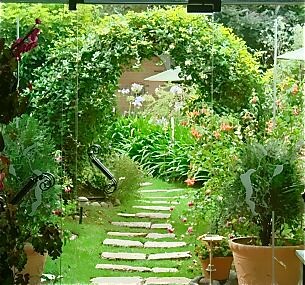 In cooperation with Jean Marie Butterlin we are conducting tours of Cuenca and would love to show you our adopted home. We thank Stephen for this update. Cuenca (full name Santa Ana de los cuatro ríos de Cuenca) is the third largest city in Ecuador by population, which totals 467,000. 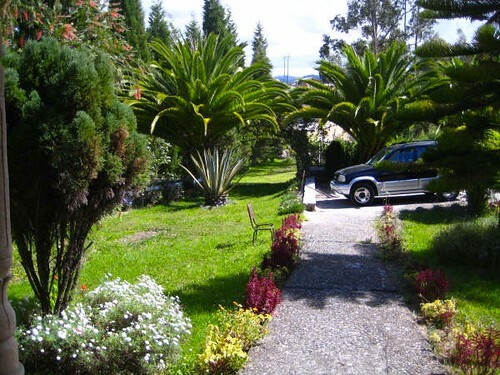 It is the capital of the Azuay Province. It is located in the highlands of Ecuador at about 2500m (8200 ft) above sea level. 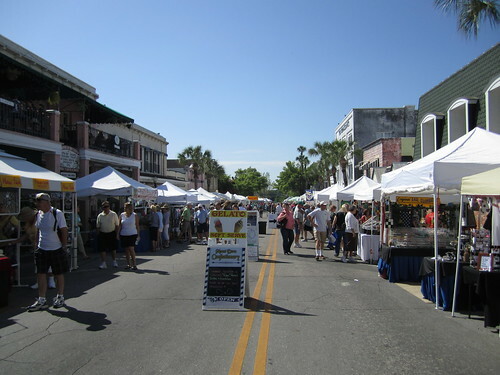 The center of the city is listed as a UNESCO World Heritage Trust site because of its historical buildings. 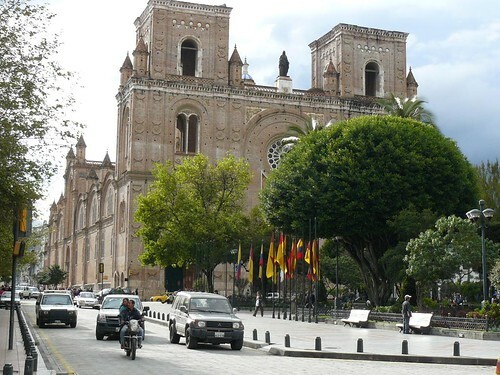 This is the most popular city for our readers and we hope that this update helps you know Cuenca better. Schedule 2013-2014 Super Thinking + Spanish – Writing to Sell – Investing & Business Courses. Attend all seminars and courses and more FREE or at a discount as an International club member. See details here.